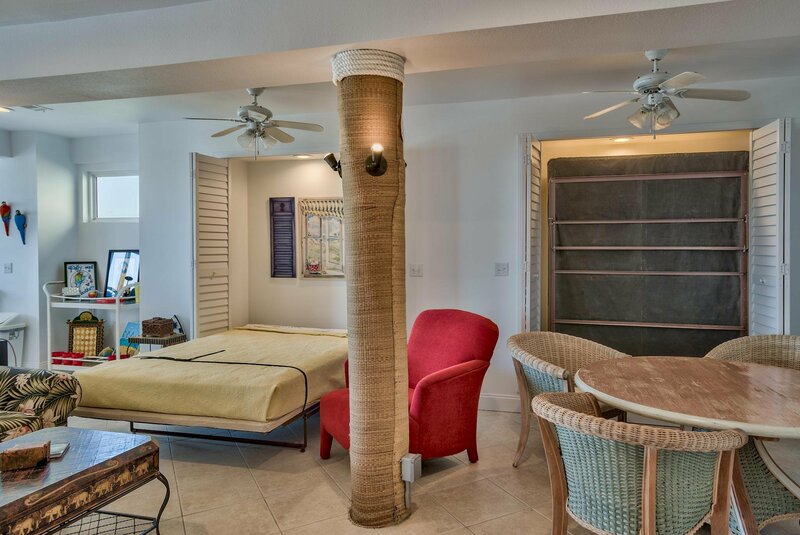 LOCATION, LOCATION, LOCATION! 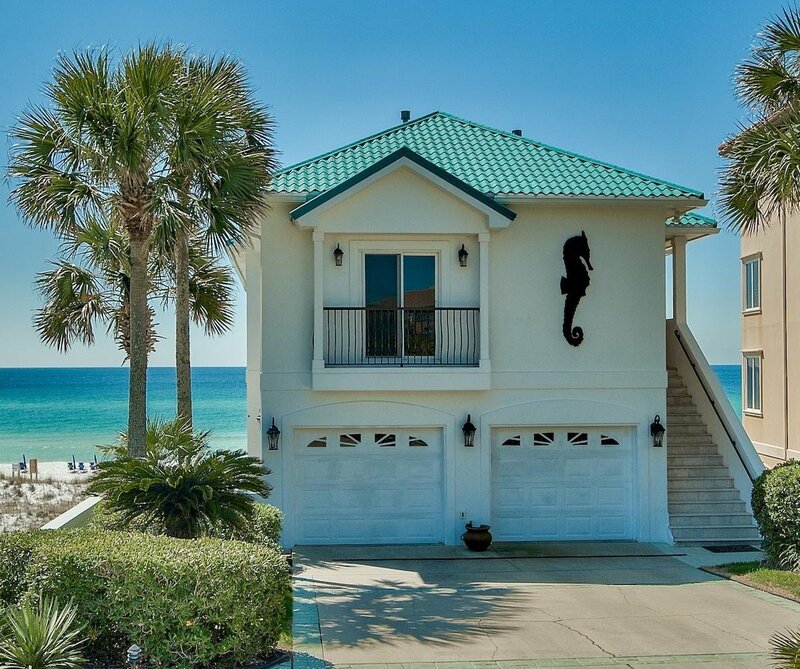 GULF FRONT HOME! 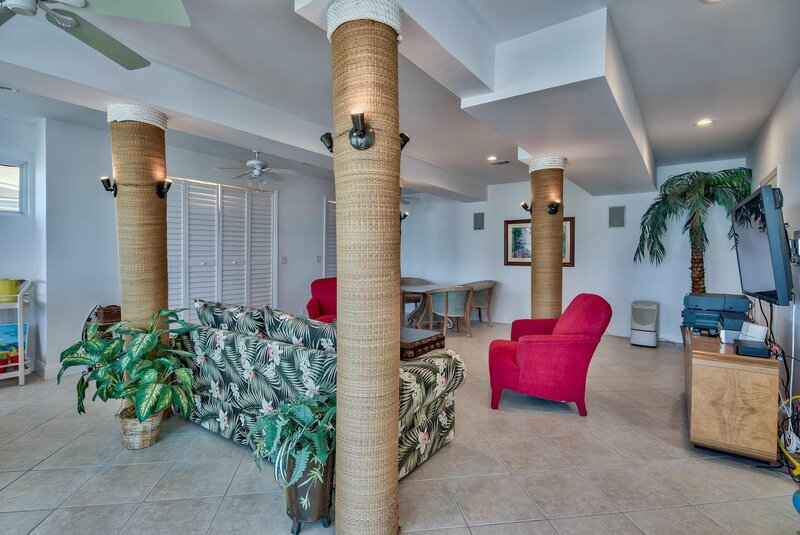 If relaxation is what you're looking for, you will enjoy the satisfaction of 50ft. 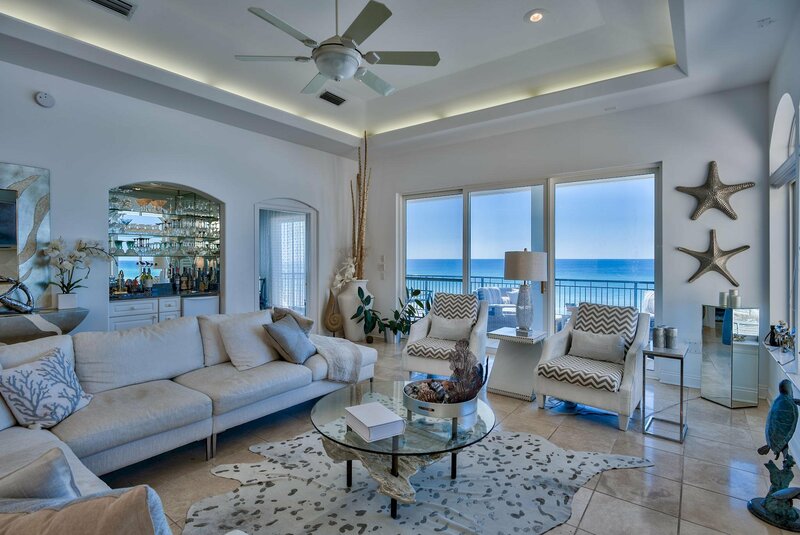 of waterfront luxury living. 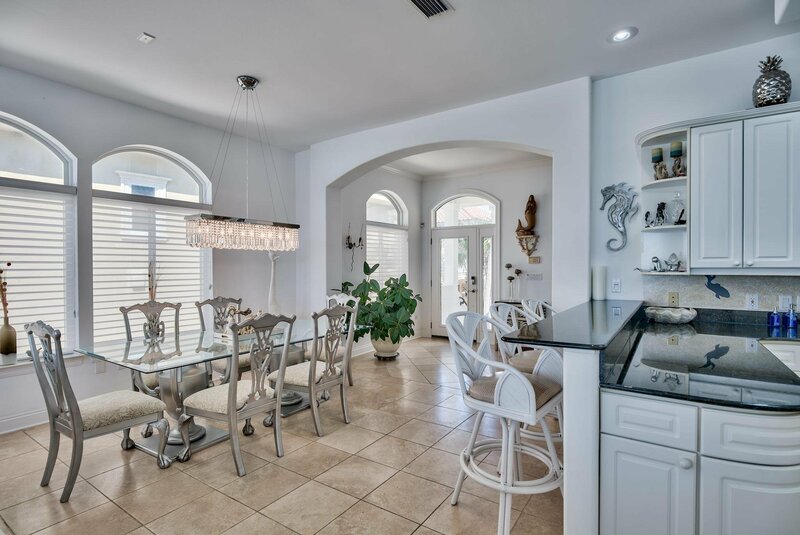 Few properties have the charm and solitude that surround this home. 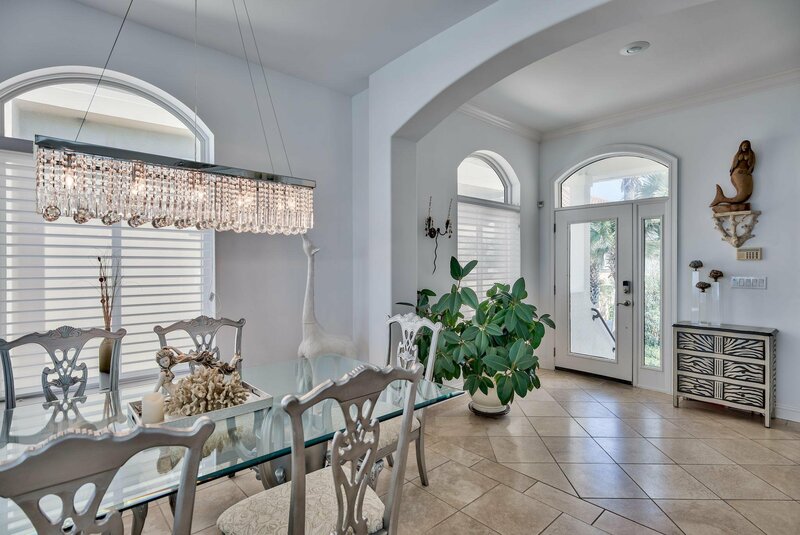 Step inside and you'll be amazed at the open layout. 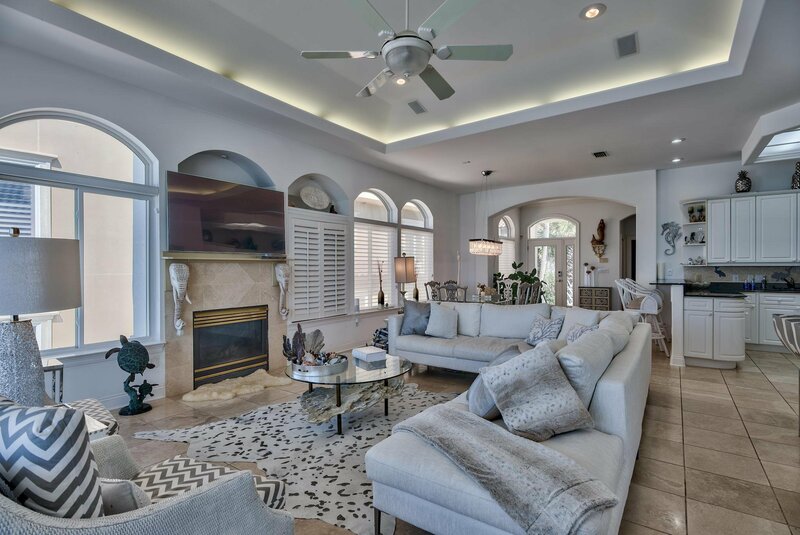 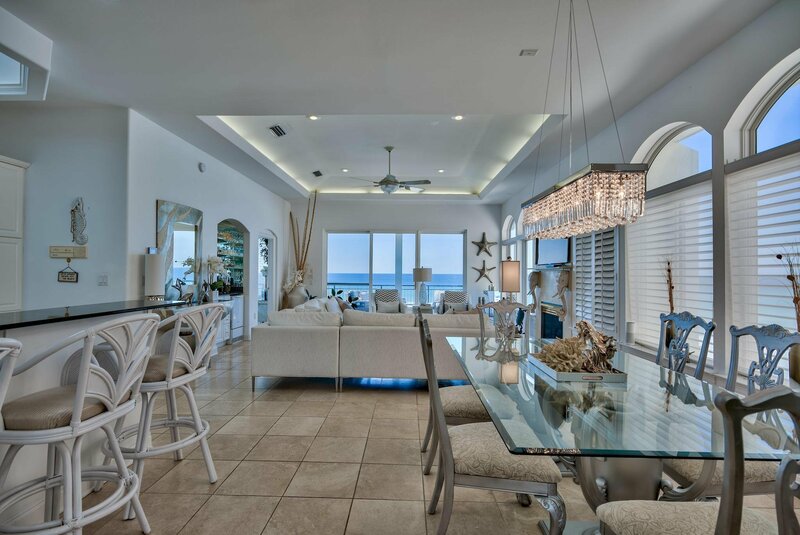 This home is ideal for entertaining. 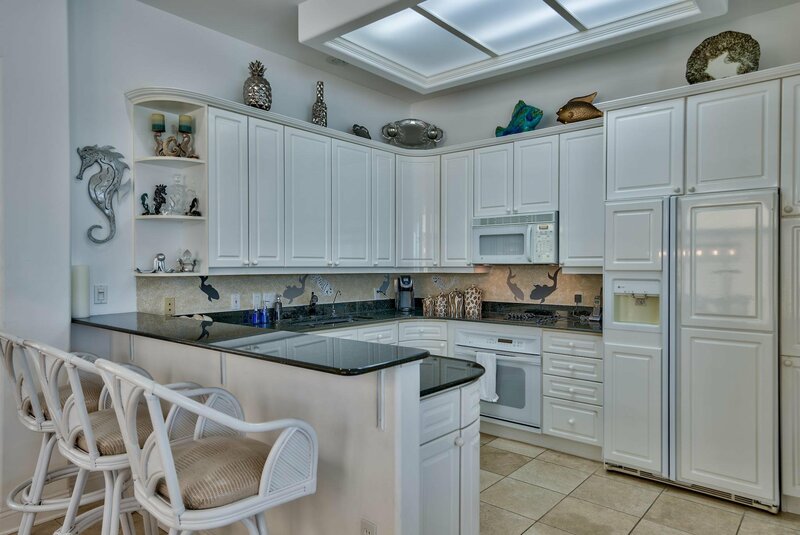 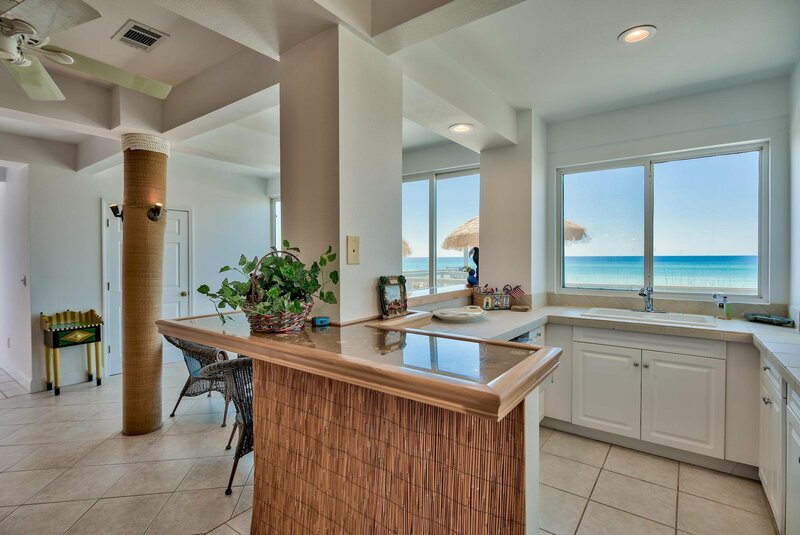 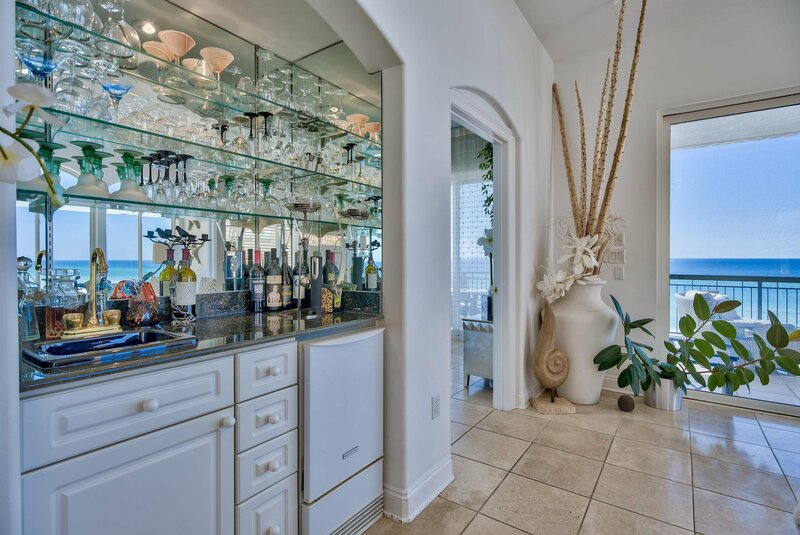 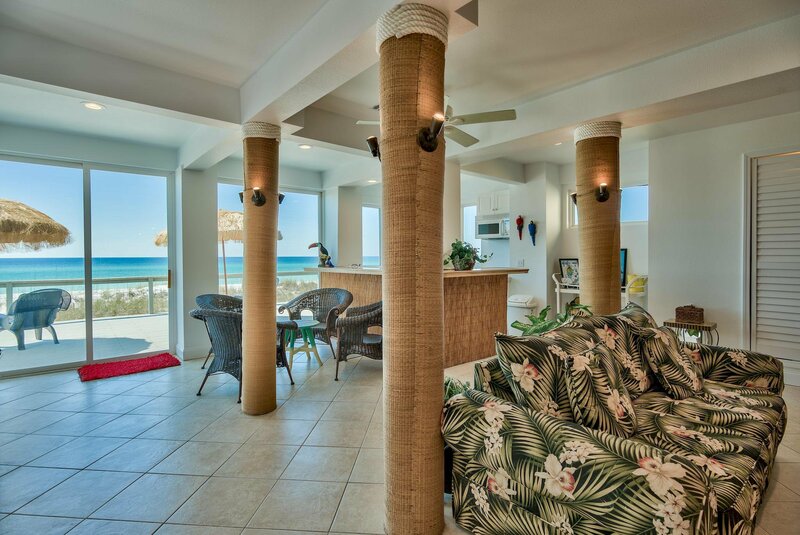 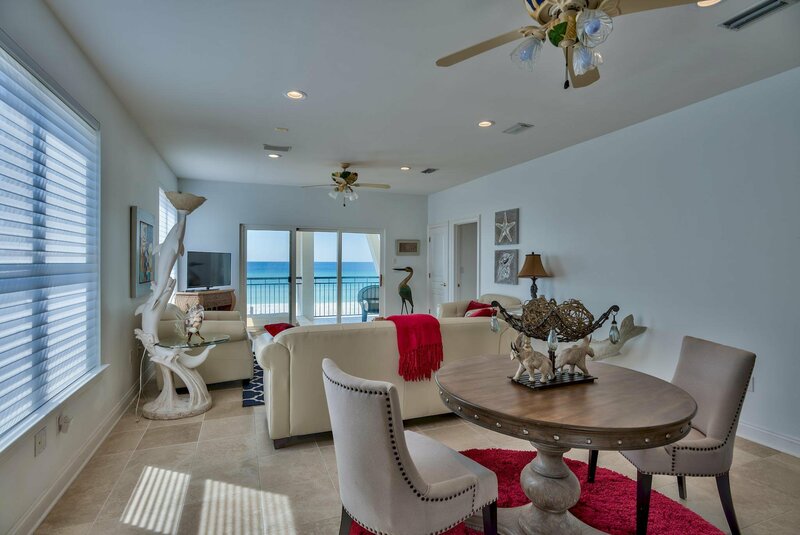 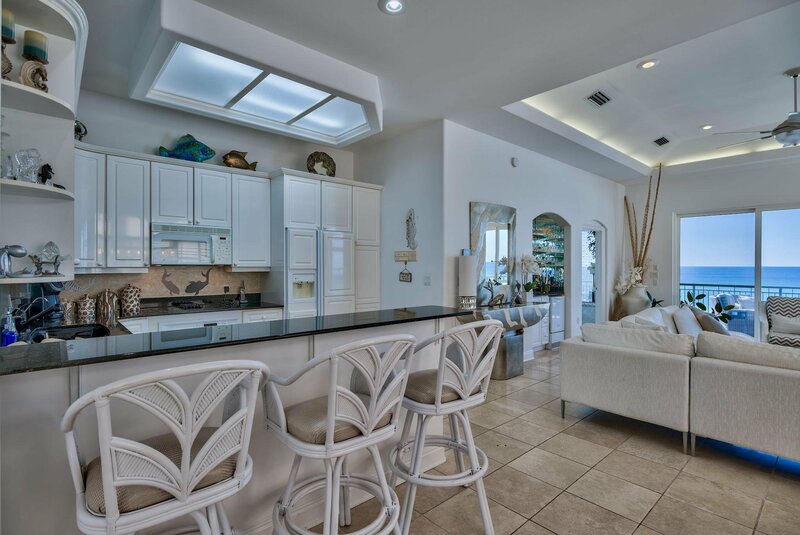 The kitchen, living and dining area boost a beautiful, direct view of the Gulf. 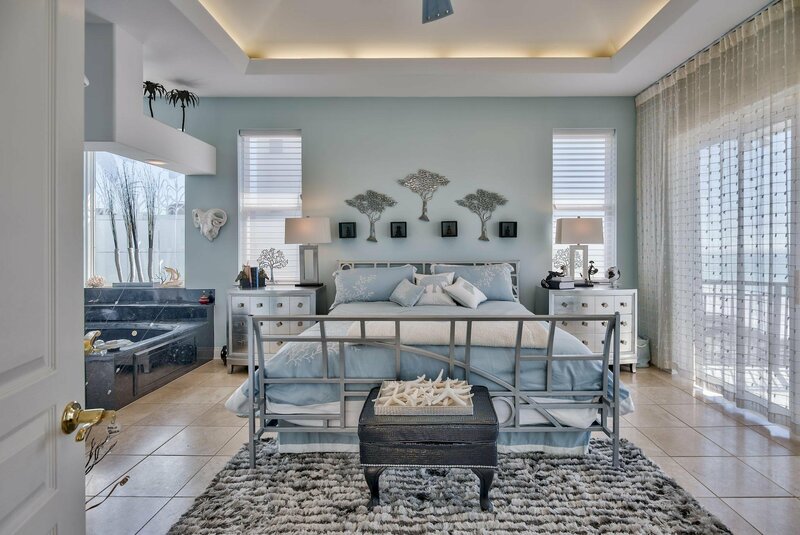 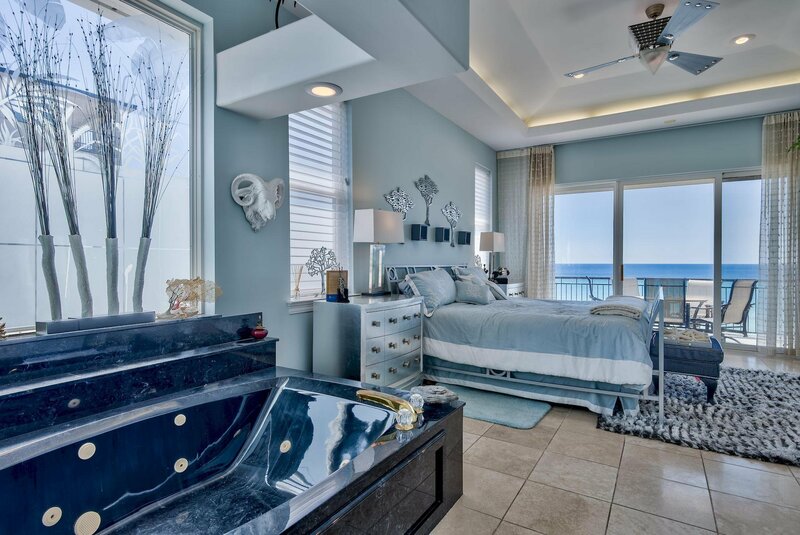 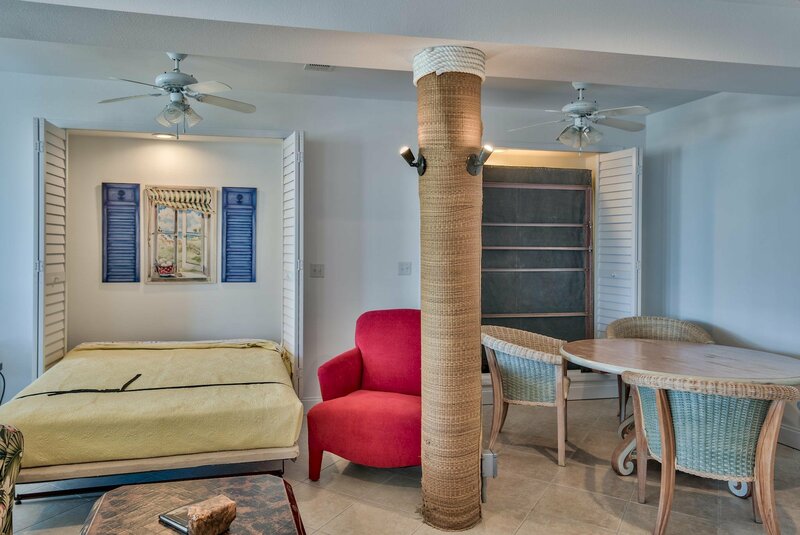 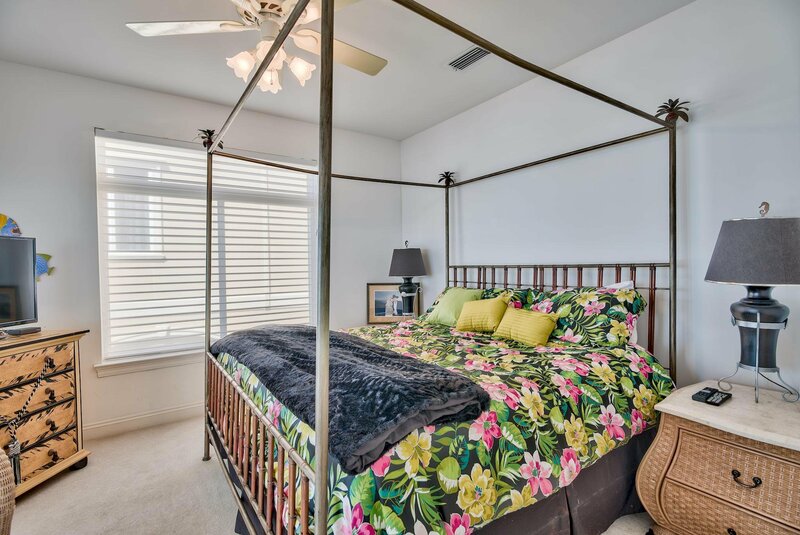 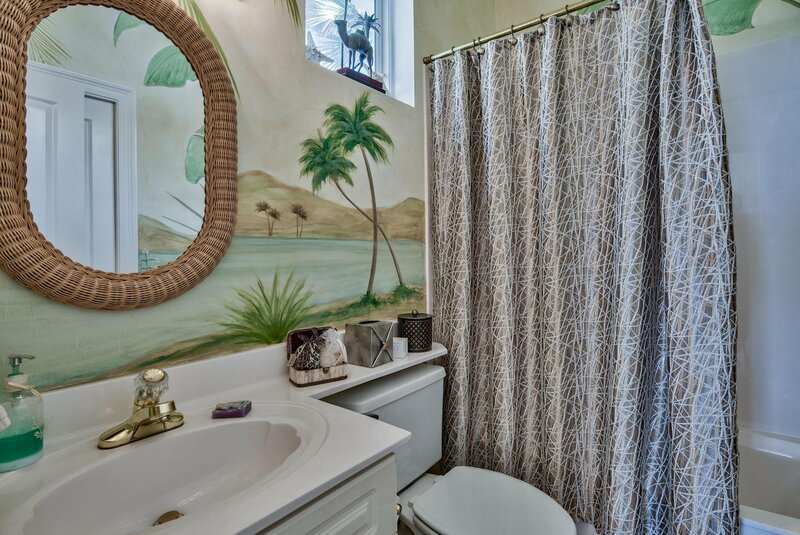 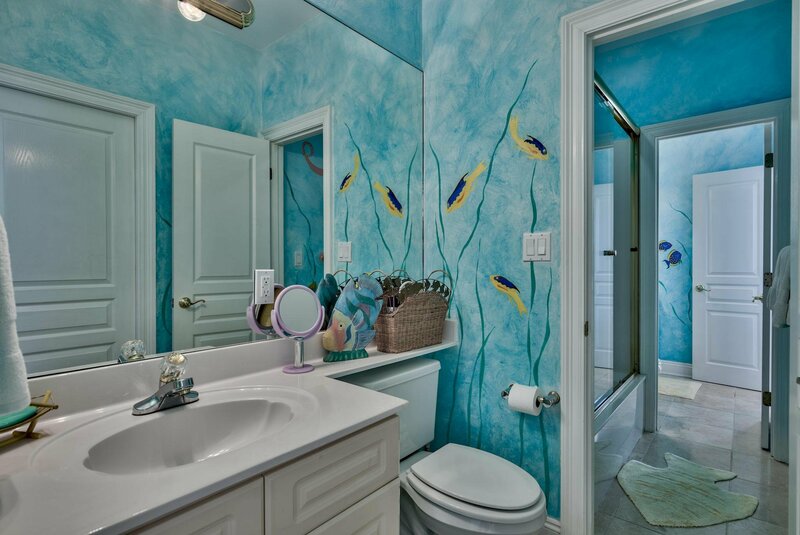 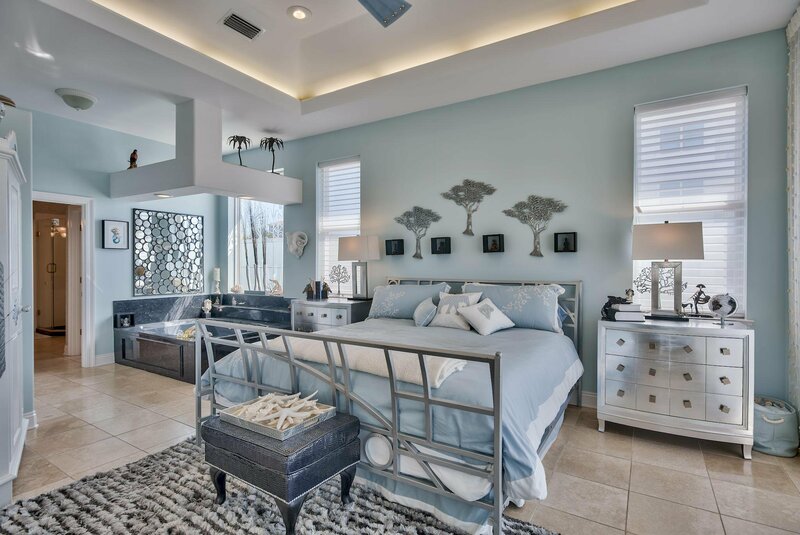 The master suite also faces the Gulf with a luxury en suite bath and Jacuzzi tub. 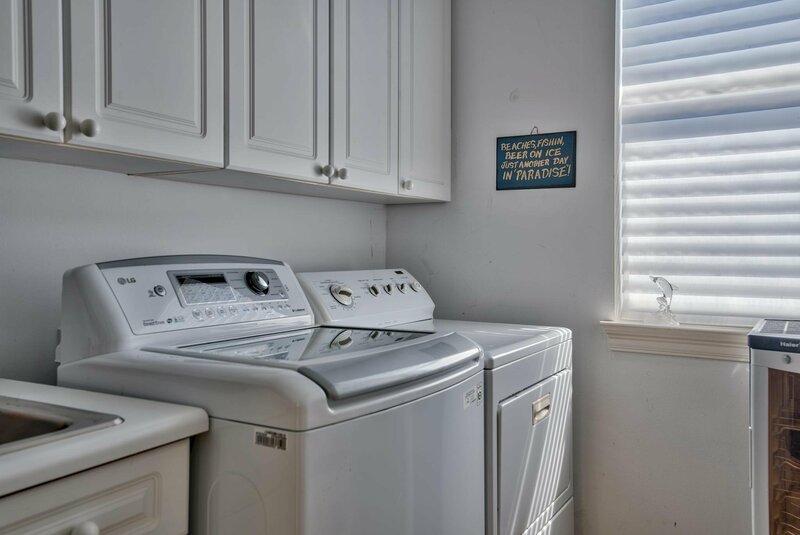 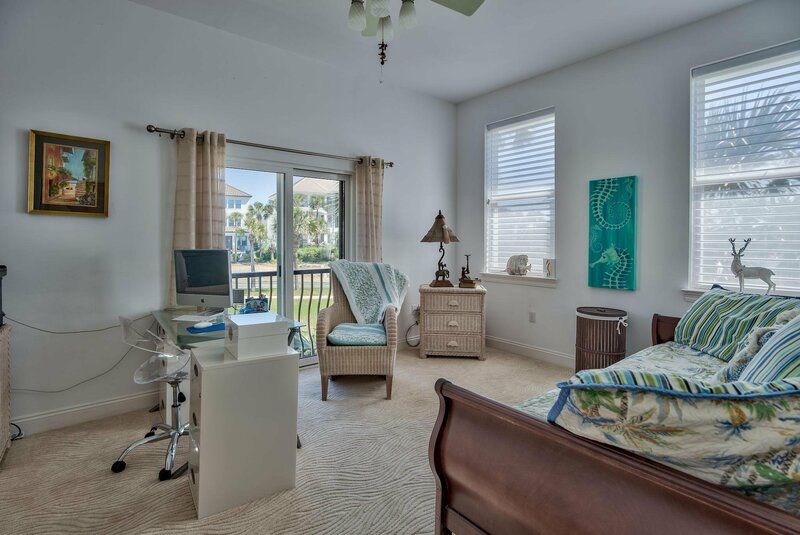 There is a second bedroom and laundry on the top floor also. 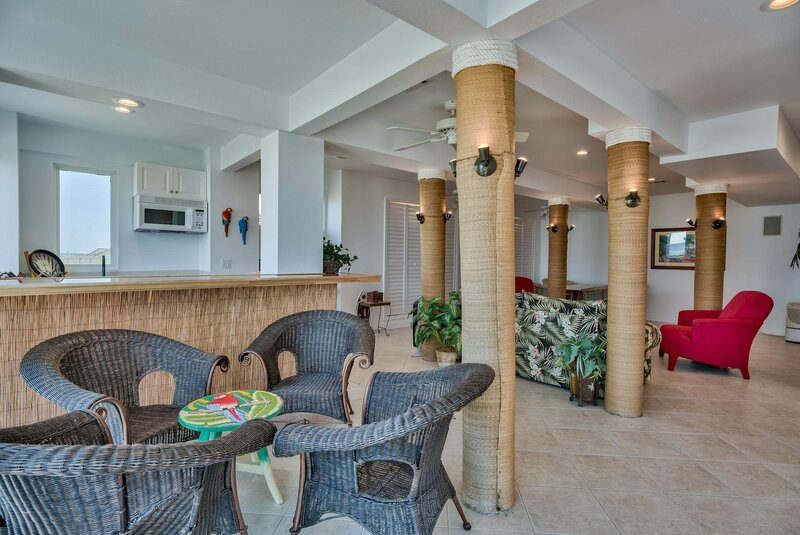 The middle floor plan allows privacy for your guests with their own living area and kitchenette. 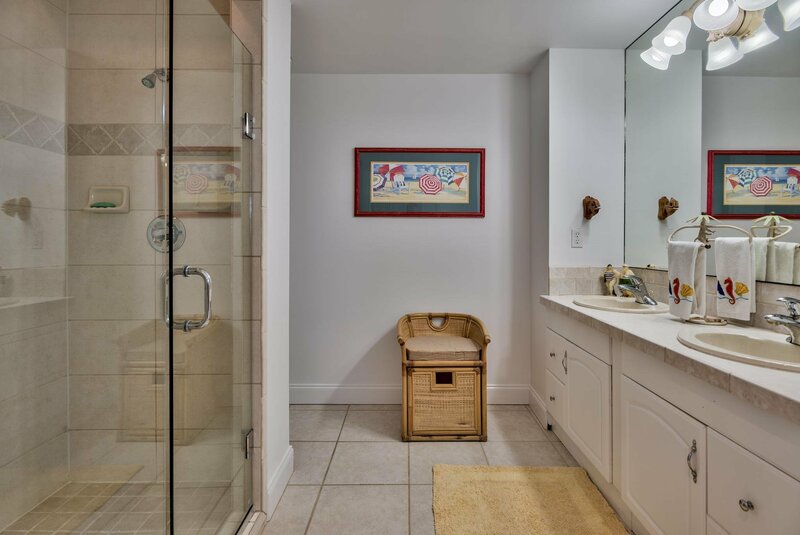 You will also find two bedrooms with a jack and jill bath on this level. 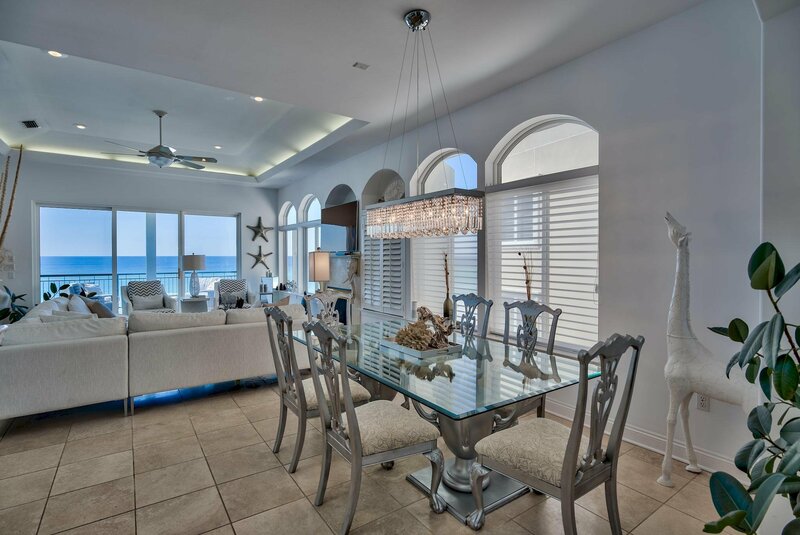 This is a perfect forever home or a rental home, great for weddings. 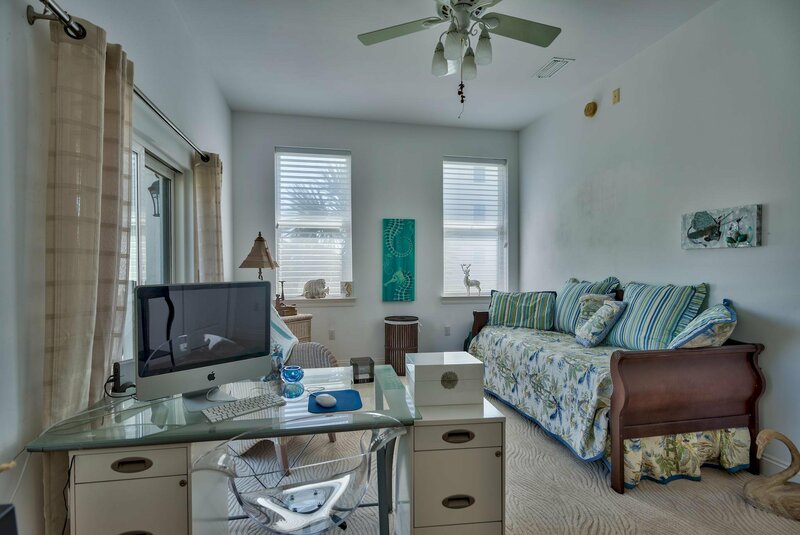 The large, open first floor room could be used as a separate lockout. 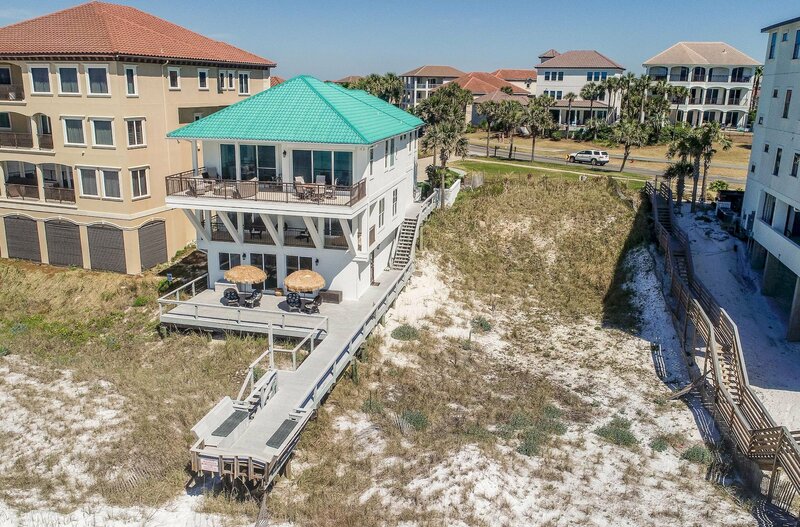 It is completely accessible from the outside and does not have access to the upper two floors of the house from the inside. 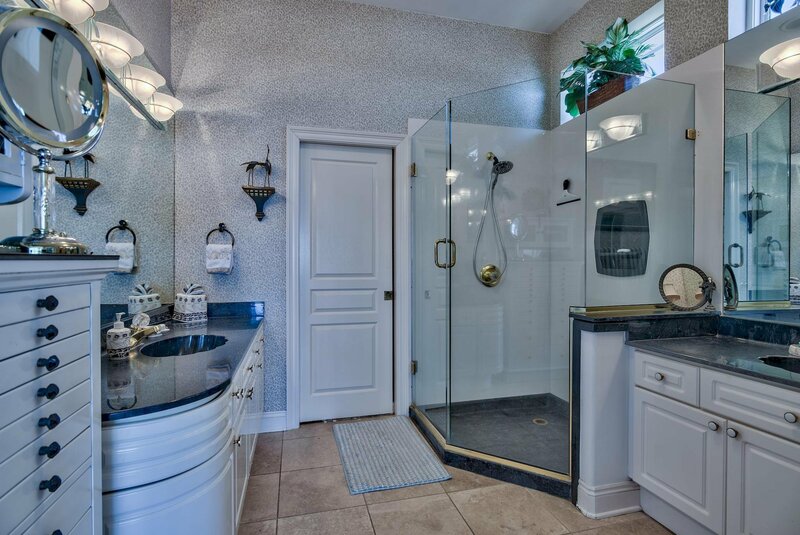 It has two murphy beds, as well as a full bath. 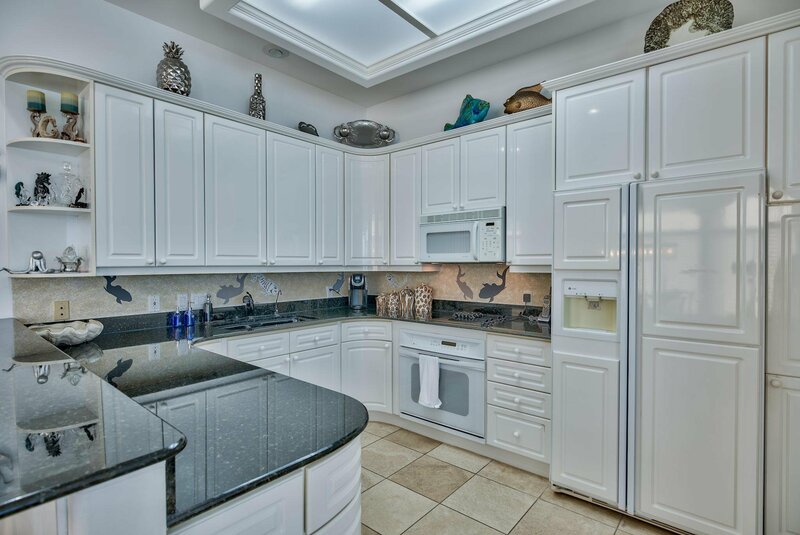 There is a kitchen in the room for preparing and entertaining, including a two burner cooktop and small refrigerator. 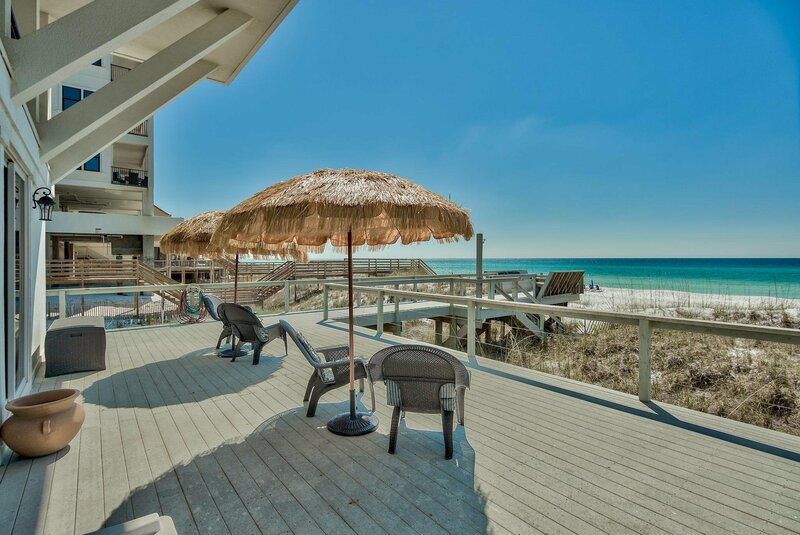 The back deck is large enough for receptions or entertaining by the beach, with a walkway from the driveway down to the back deck. 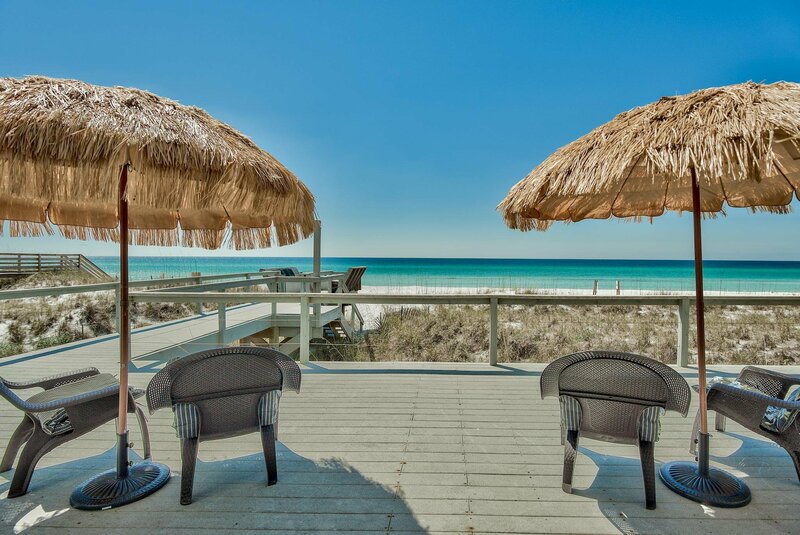 Sitting out on the custom made benches by the beach is a fabulous way to truly enjoy beach living! 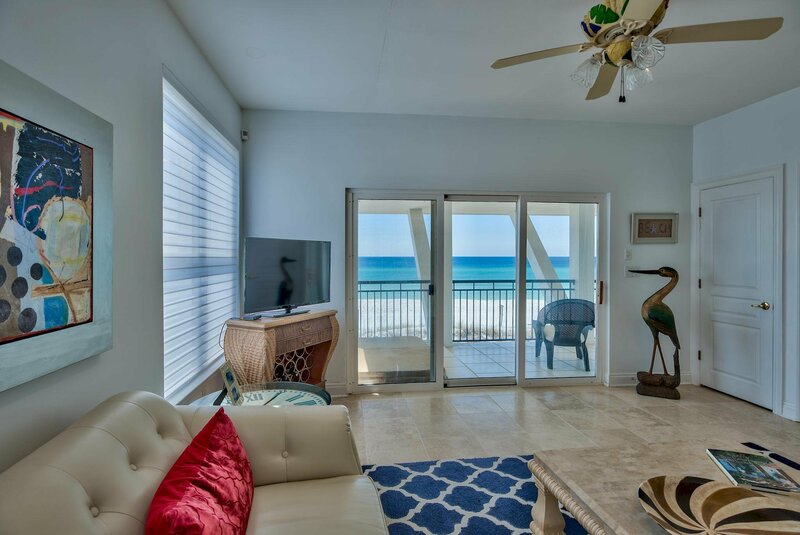 With this beautiful Gulf front property you have a premier destination to call home or vacation, without the expense of association dues. 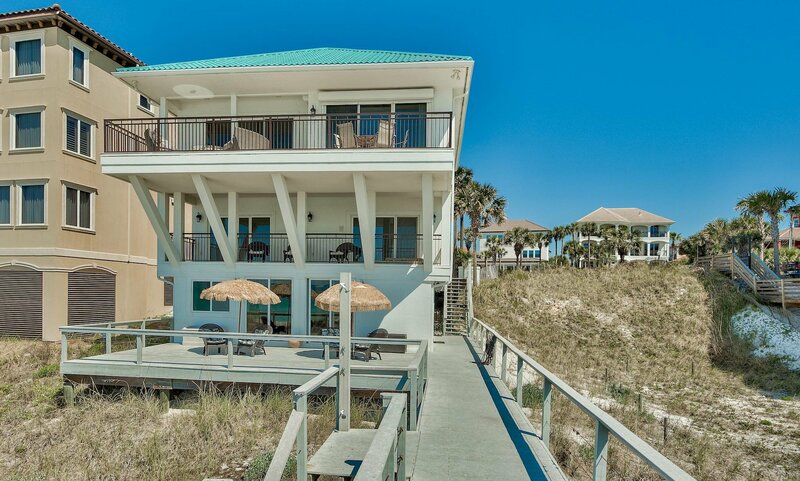 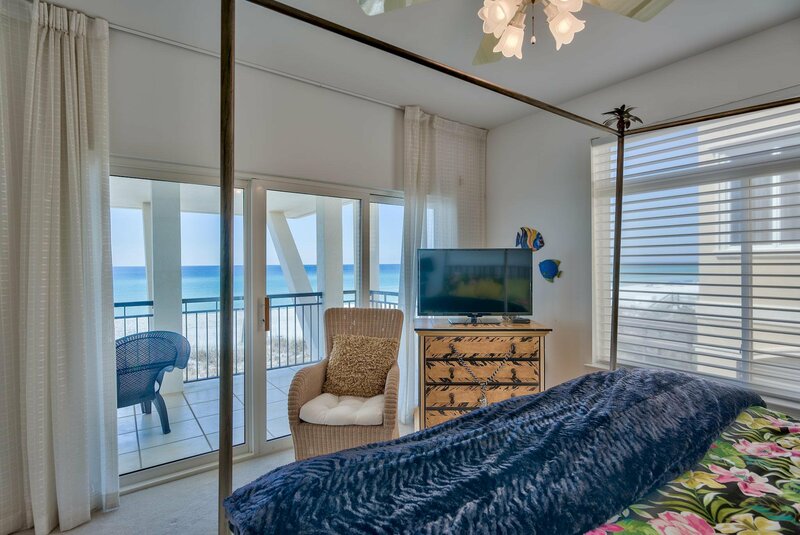 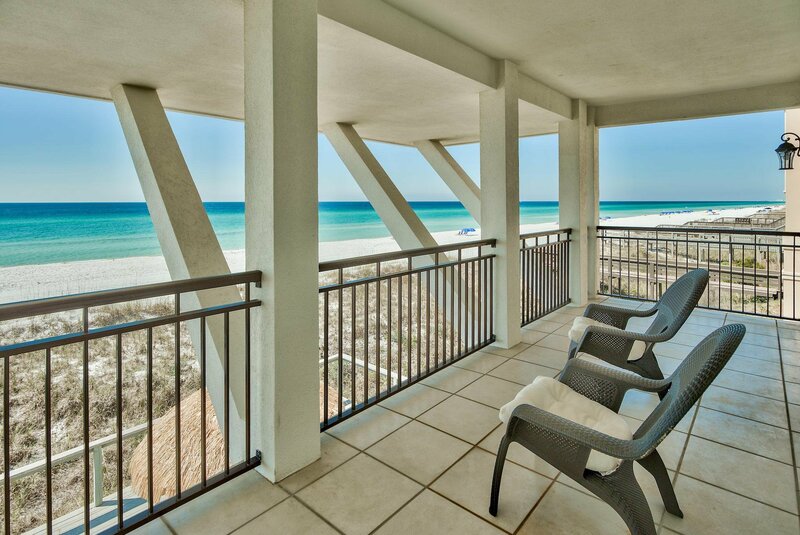 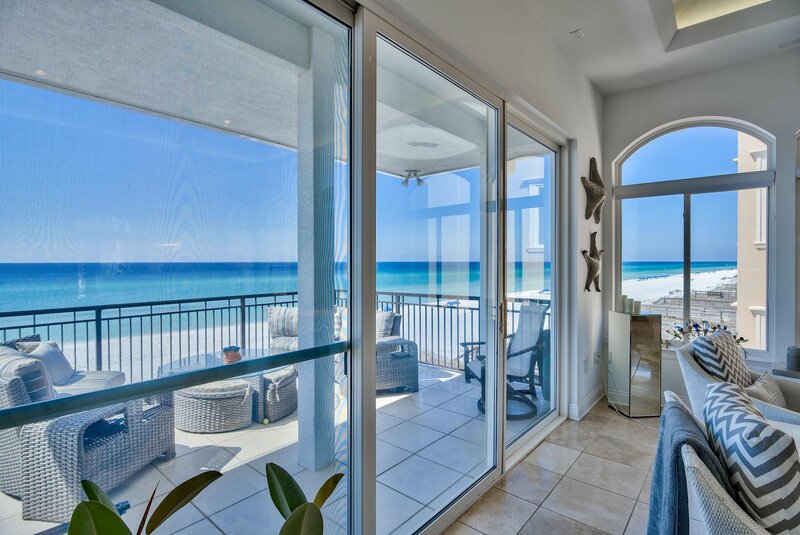 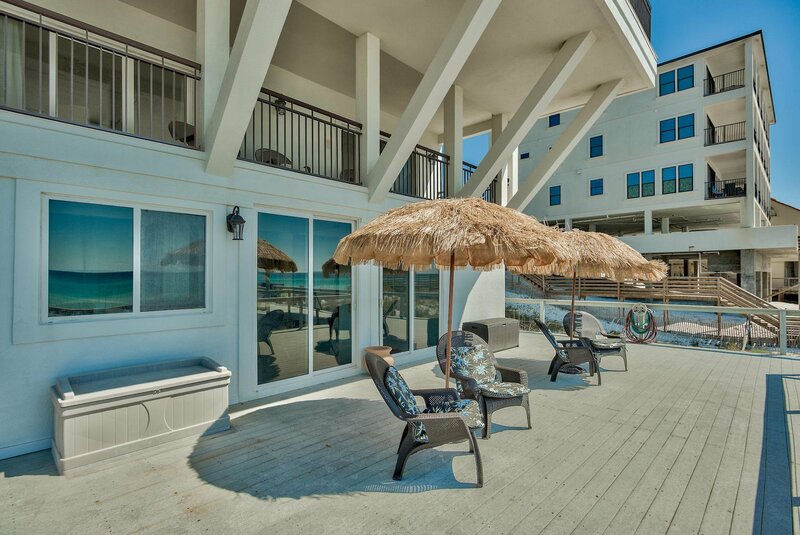 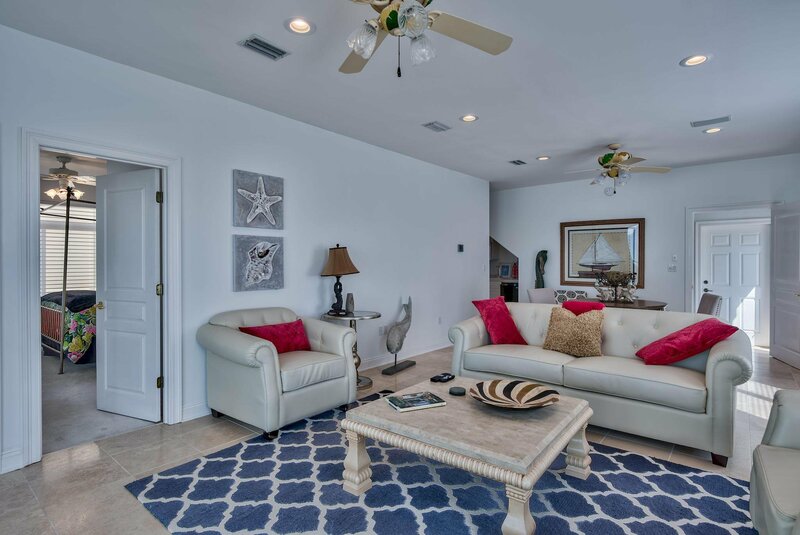 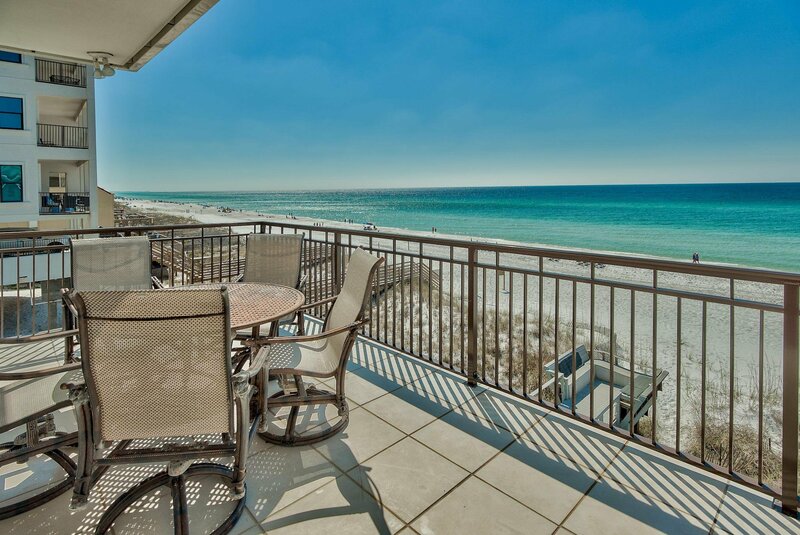 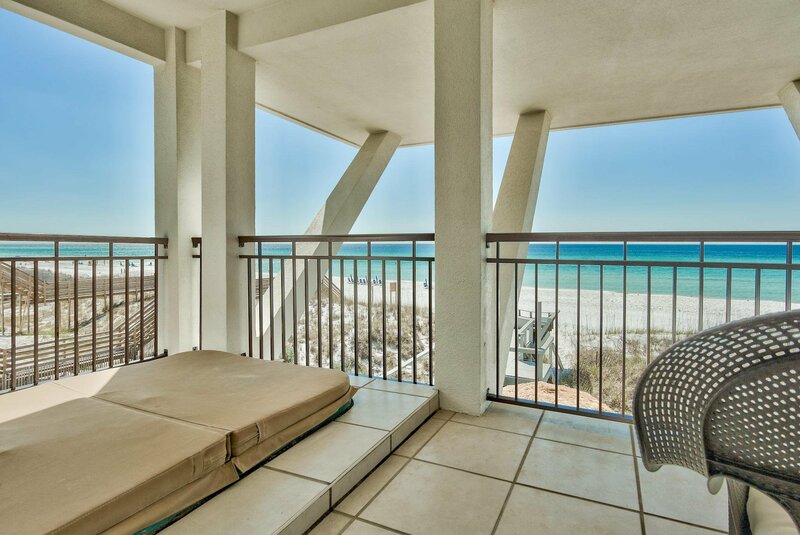 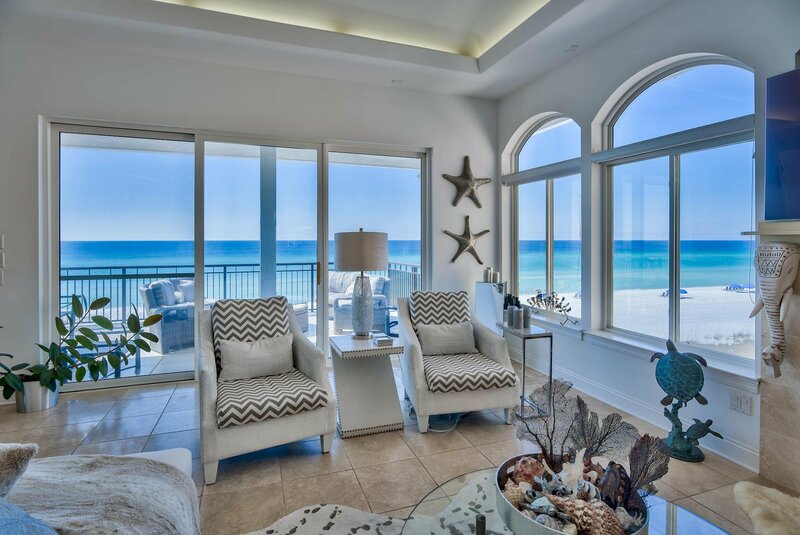 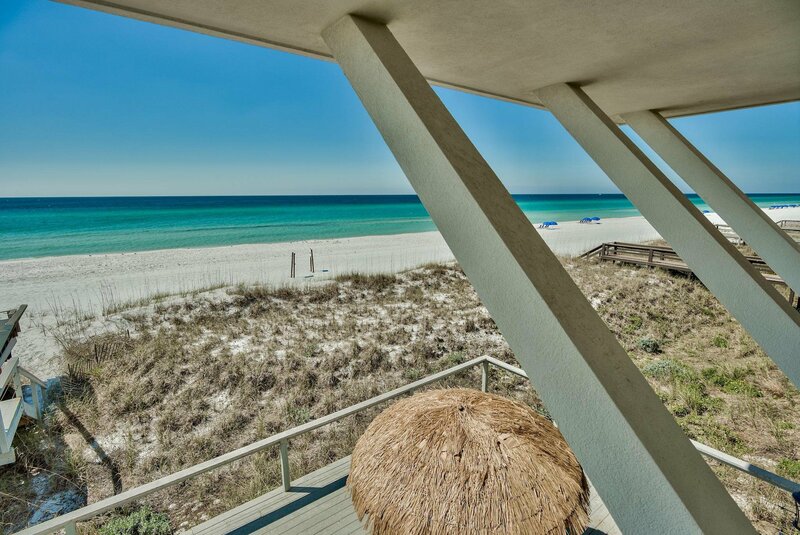 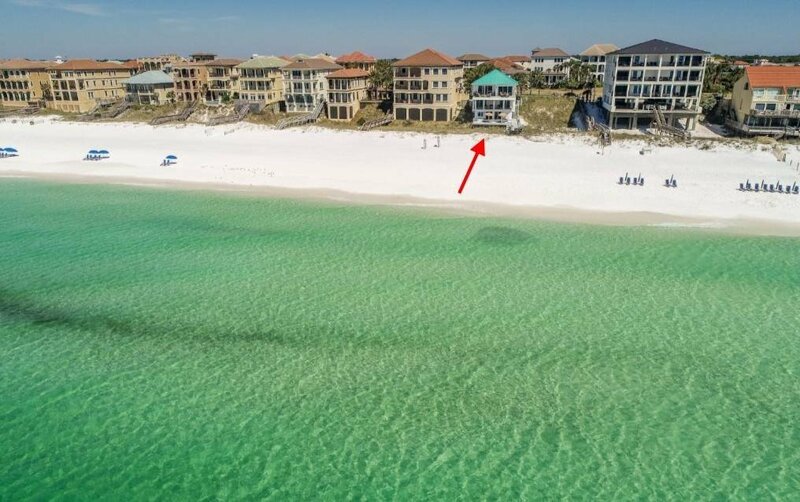 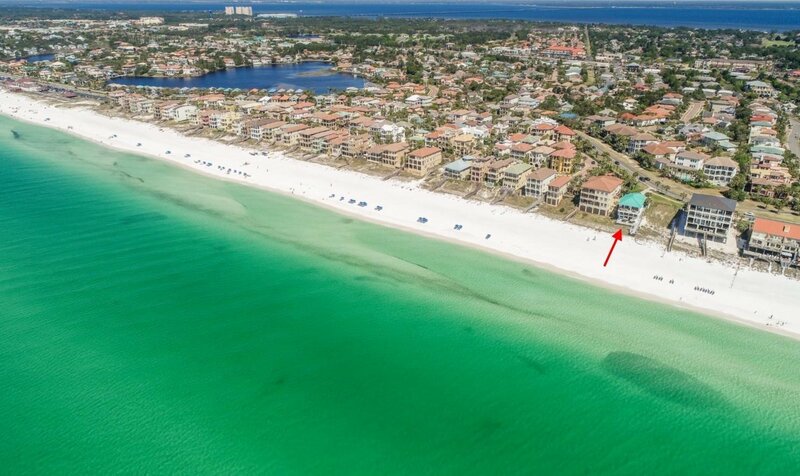 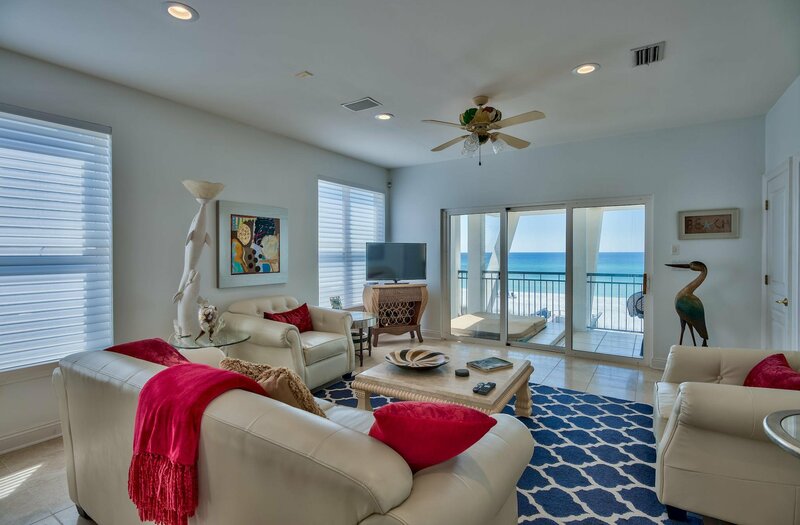 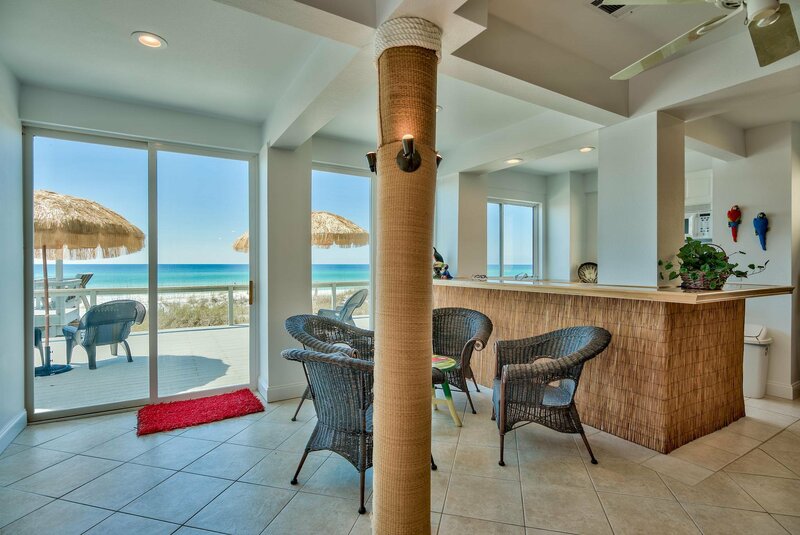 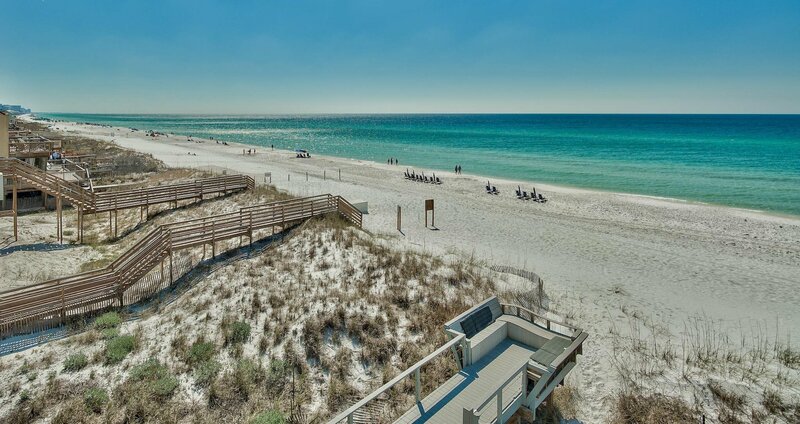 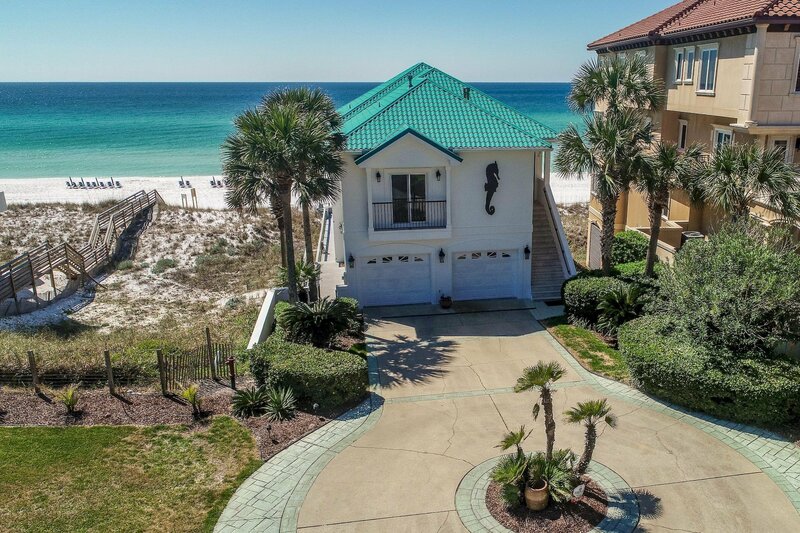 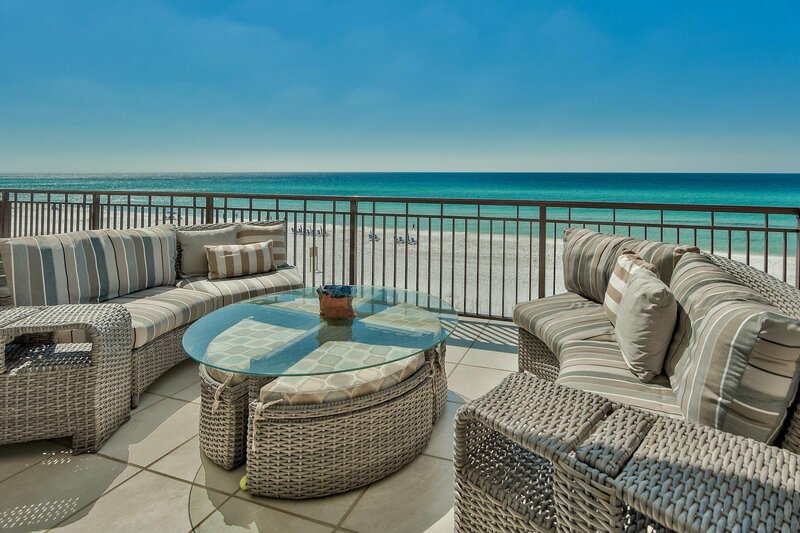 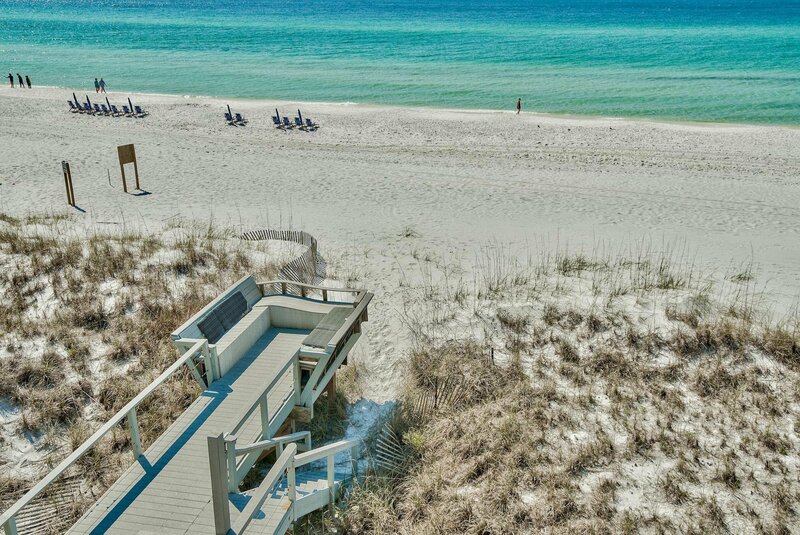 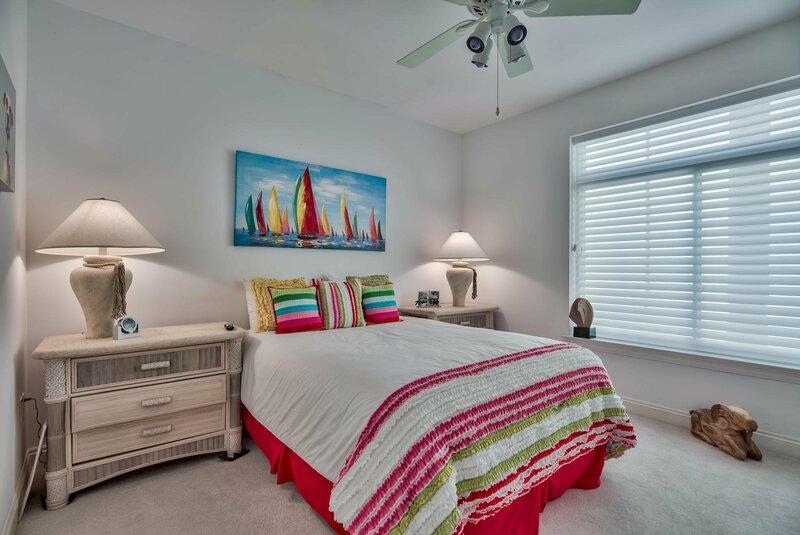 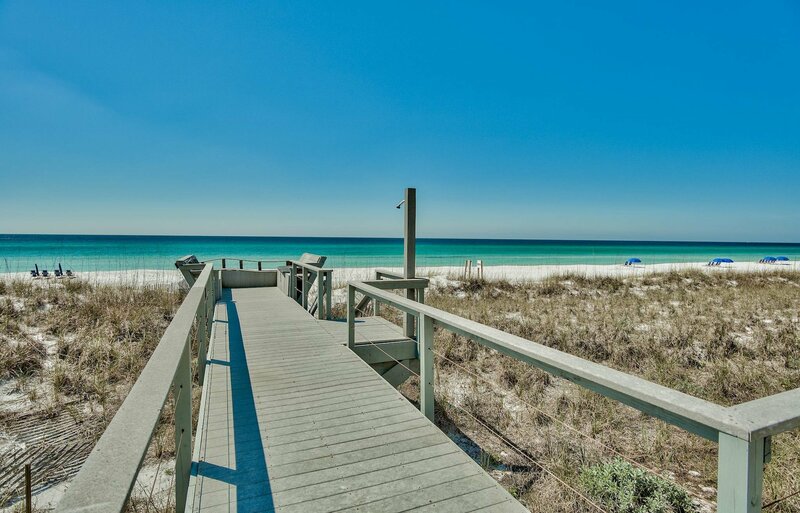 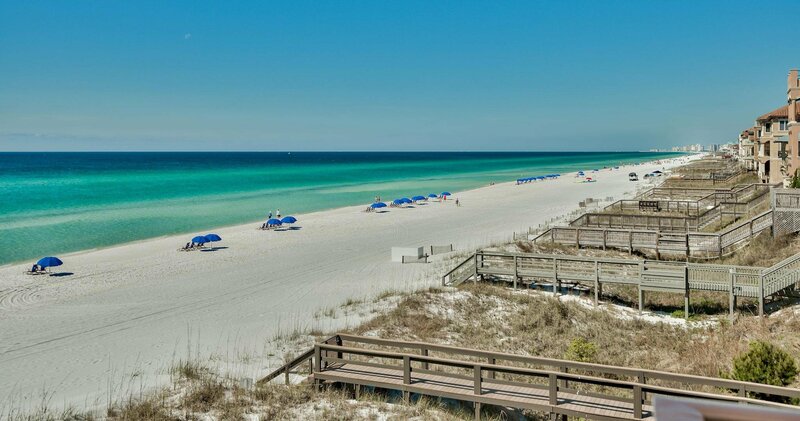 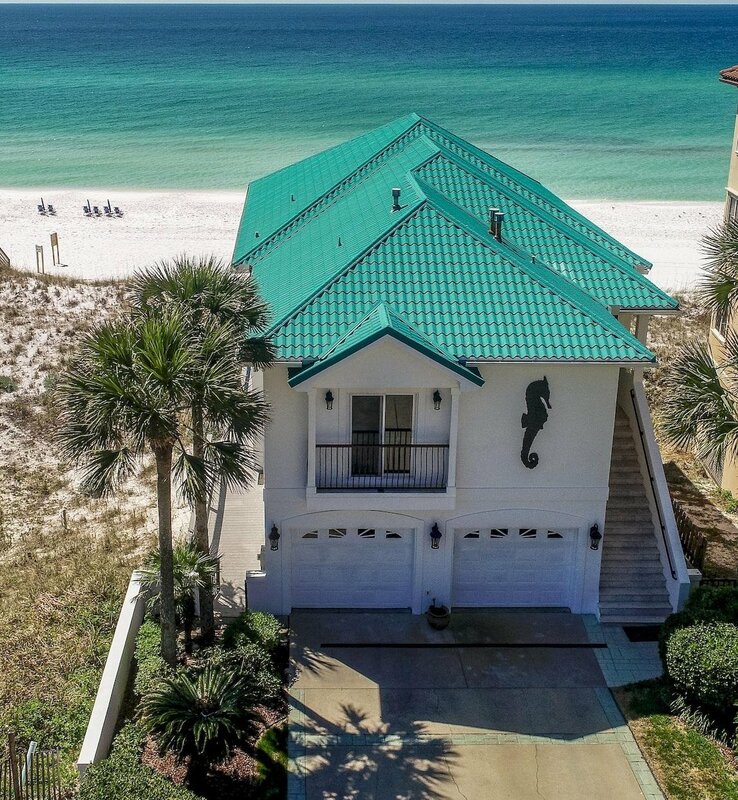 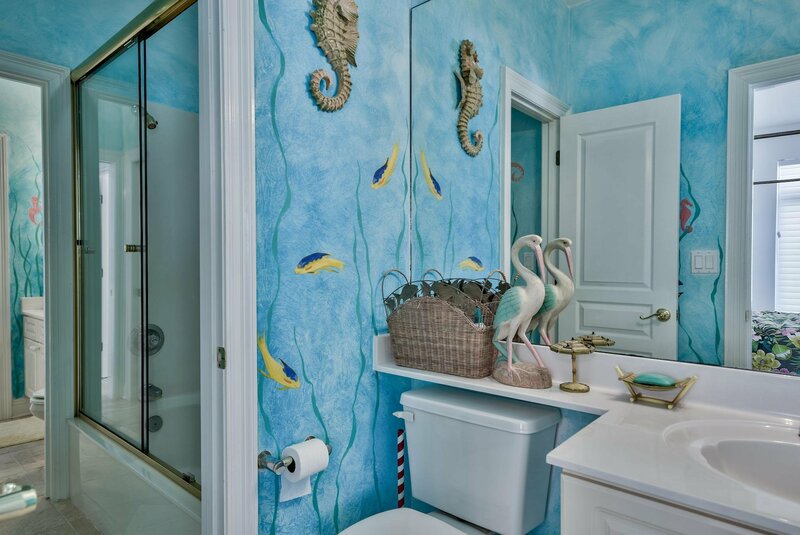 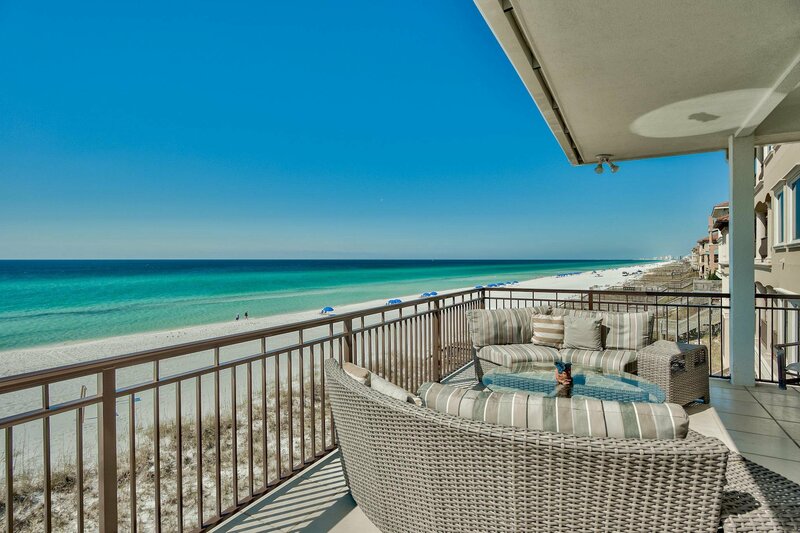 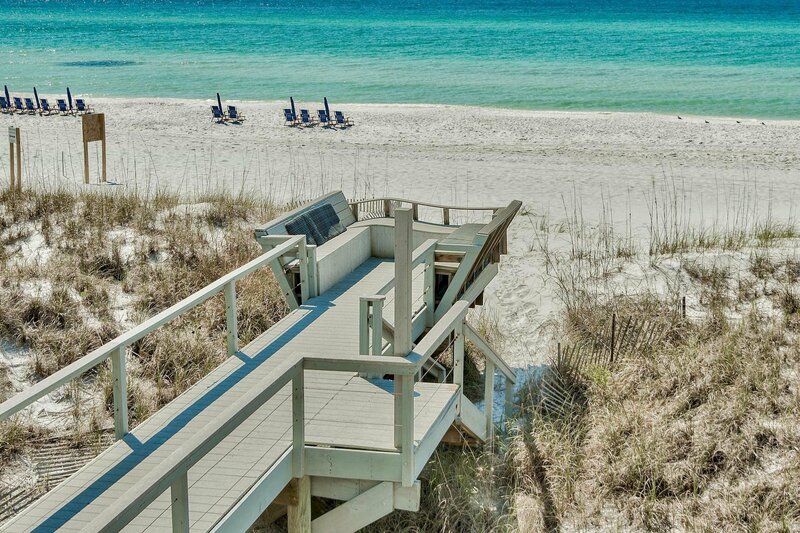 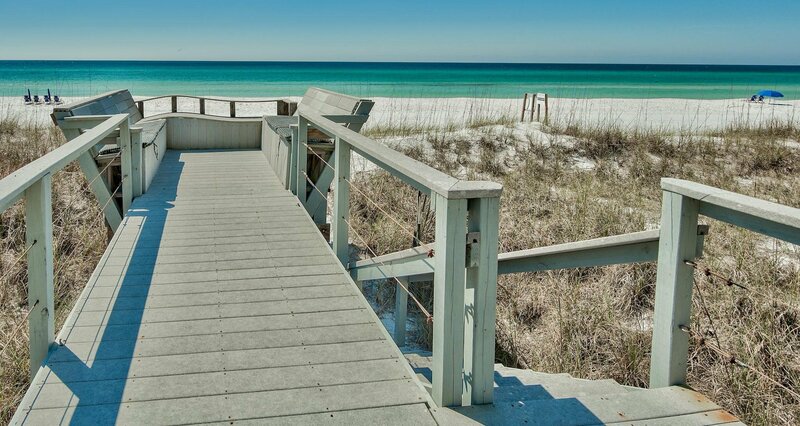 Come and enjoy some of the finest Gulf front living in Destin, Florida!